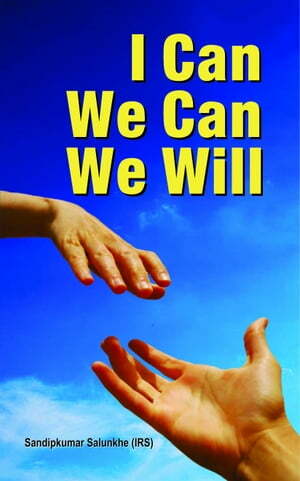 Collins Booksellers - I Can We Can We Will by Sandik Kumar Salunkhe, 9789350488843. Buy this book online. Human emotions transcend all artificial boundaries for we belong to one Universal Soul. This oneness may be behind the enormous success of Sandipkumar Salunkhe’s book.A semi-autobiographical account of the author’s life it connects to the struggling rural youth and encourages them to surmount difficulties and achieve in life. The author has recorded the swinging graph of his life through different phases he experienced and his tireless efforts to realize his dream. He candidly talks about his own faults and shortcomings and how he removed them. Thus setting an example for others to follow—If I can—you can.Therefore, if you feel- life is stagnant, devoid of happiness.- you have dreams but lack direction or need guidance, - you lack confidence and self-esteem.- cannot overcome stress or dejection.- you are not inspired by stories of achievers because they belong to another environment.Then this book is for you and the sky is the limit!